How long will it take for my order to ship ? All the packrafts are custom made to order by Alpacka in the USA. During peak season (April to July), it can take up to 8 weeks for a new packraft to be built and shipped. Please contact us for the current delivery time. Will I get my boat faster if I order it directly from Alpacka USA ? Usually not. Alpacka builds packrafts as they receive the orders, so the build time is the same, however, At Backcountry.scot I’ve arranged a customs account and a streamlined import and customs clearance process. This means we get your order to you quicker and you avoid any potential delays with customs. 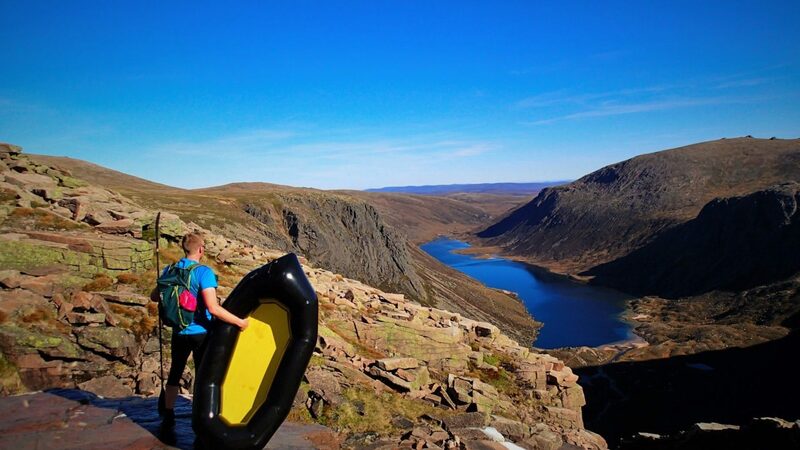 Why are Alpacka Packrafts ordered from Backcountry.scot made to order ? Alpacka Raft LLC USA, Hand makes over 800 possible configurations for packrafts. These consist of different models, sizes, colours, build options etc. There is no way on earth I can Hold Stock of all of these, but I feel that it’s important to give you the opportunity to order whatever configuration you want. We ship to all countries within the European Union. Is Backcountry.Scot an official Alpacka Raft dealer ? What is the difference between ordering with Backcountry.Scot or directly with Alpacka ? If you order through with Us your total price at the checkout is your final price. We will handle all import duties, VAT payment and customs clearance for you. You also get me! you get my passion and previous knowledge, I enjoy introducing and helping people into this wonderful world of Adventure. Heck if you come to collect your boat we can head out for a quick spin for a Packrafting 101. When you order directly from Alpacka your are responsible for all import duties, VAT payment 20%, customs fees3% and customs clearance fee £15 and not forgetting shipping $75 standard or $150 Expedited (you can get delays). Before I set up my Streamlined import system, boats would take upto 4 weeks to clear customs, this doesn’t include actual shipping time. How is pricing calculated ? Alpacka packrafts ordered with Backcountry.Scot are priced to be the exact same price as or a little cheaper than if you were to order directly from Alpacka USA. To do this we take the current USD retail price for an Alpacka packraft, and exchange it to GBP (currency exchange rate is updated when it fluctuates more than 1%). We then add import duties (3%) and VAT (UK VAT is 20%) also Shipping cost is around 10% This gives us the GBP equivalent to Alpacka USA. I can see a product on the Alpacka raft LLC website, that I want but it’s not on your website can I get it. What is a Packraft ? A packraft is an inflatable watercraft (similar to a kayak) that can be packed down to a small compact size (about the same as a two person tent) and can fit inside a backpack. They are lightweight (1.5 to 4.5 kg) and depending on the model and manufacturer are very durable and whitewater capable. What equipment is needed to safely go packrafting ? For lakes/Lochs and slow moving water (no whitewater) only a packraft, a paddle and a Buoyancy aid/PFD (Personal Flotation Device) is required. For moving water, and whitewater, a packraft, paddle, PFD (Personal Flotation Device) and a helmet is required for safe use. For use on whitewater we strongly recommend only the use of proper Whitewater designed PFDs and Helmets. Why Buy an Alpacka over a cheaper brand ? All of Alpacka packrafts are made by hand in Mancos, Colorado, USA with the highest quality materials and parts sourced almost entirely from the United States. In addition, Alpacka’s progressive designs have reshaped and pushed the boundaries of packrafting for nearly two decades. Take a look around at the other packrafts on the market—almost all of them feature designs and options taken directly from Alpacka packrafts. Finally, as an in-house manufacturer, Alpacka offers a full range of repair and upgrade services to keep your packraft in optimal condition year after year. Alpacka Rafts are built with a 10 year adventure life in mind! Are Alpacka Rafts made out of a different material than other packrafts ? Are they durable ? Yes! Although our packrafts are lightweight, Alpacka use only the highest quality Made in USA materials which have been designed specifically for their packrafts. While it is possible to puncture an Alpacka Raft, their urethane coatings and base fabrics are very durable and slick which allows them to scrape and scratch through shallow sharp rivers with rarely anything more than minor nicks and scratches that can be easily repaired in the field. Don’t be fooled by other brands selling cheaper models that look like Alpacka packrafts and claiming to use the “same” fabrics. Their fabrics are sourced over-seas and do not have nearly the same urethane adhesion strength, fabric tear strength, and UV resistance as Alpacka Raft Made in USA materials. Do I need special skills to packraft ? It depends. If you just want to get on and enjoy easy water, all you need is a PFD, basic paddling skills, and good judgment to have a great time. We know of packrafters in their 80’s and of many toddlers who have completed extended trips in the front of their parents boat. If you want to do big backcountry traverses or challenging whitewater, you will need specialized skills for those adventures and you can learn a lot by taking a whitewater rescue course or a kayaking course to learn water safety and paddling technique. Which model and size should I get ? Tough question! You can’t go wrong with the Alpacka Series for a do everything packraft. It’s the original model and best seller for good reason. The Gnarwhal is a great option if you want a do everything packraft with maximum whitewater capability, while the Wolverine is a great choice for the hard shell kayaker that wants a packraft. or a Packrafter that is really pushing the envelope of whitewater packrafting. The Cargo Series is perfect for families, sportsmen, and bringing along an extra person or a pet. Finally, the Scout is ideal for ultralight trips. We recommend that you size the boat to you and if on the fence size up for comfort or down for performance. Sizing charts are available on all models.